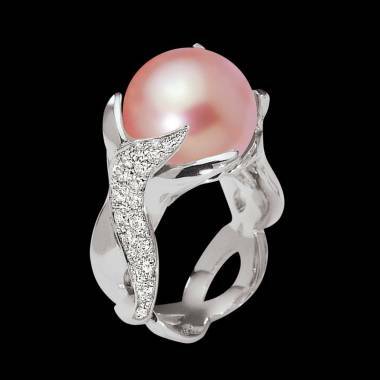 It is simply doubly feminine, because of the pearl and because of the Pink. 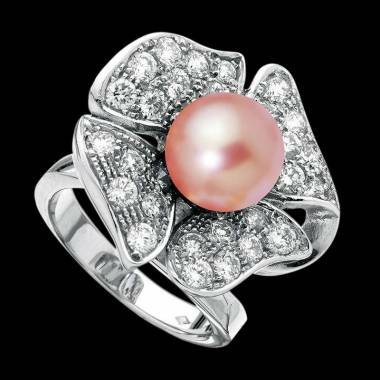 An engagement ring with a Pink Pearl is an excellent ring for women. She translates in a beautiful way the optimism that envelops you when you make a promise of love. To put a crown on top, it gives the sense of a tender and sincere love. Pink is a feminine colour, a sign of romance, of happiness, and of youth. The Pearl is also correlated to women. 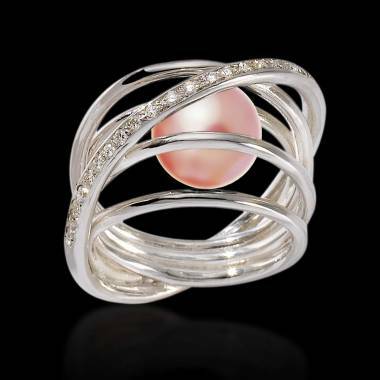 Greek Mythology associates the pearl to Aphrodite, the goddess of love and of beauty. The origin of these joys is explained by the fact that the goddess was born from the ocean, drops of water that came from her became pearls. There are other elements that link the creation of pearls to women and their beauty contributes to the strength of their link to women. Moreover, these pearls are pink. When you opt for a Pink Pearl Engagement Ring to symbolize your promise of love, it is important to choose your pearl wisely. The ones that we propose come primarily from the oceans of the south. 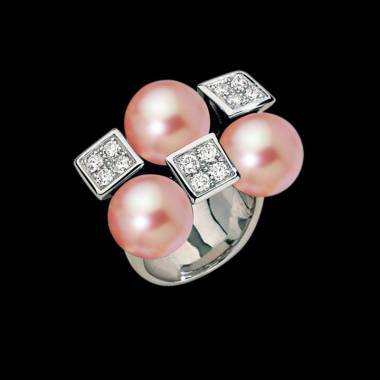 The are characterized by the thick mother of pearls with a satiny and silky surface with a beautiful lustre. These are great quality pearls. In caring for your Pink Pearl Engagement Ring, it is not going to be the same method of care as for your pearl necklace for example. If you are allowed to put your pearl necklace in water, it is not the same for your pearl ring. The pearl is by nature much more fragile than other precious gems. Moreover, even though it is original for an engagement ring, it is not typical. In fact, it is not fixed on your ring the same way as a precious gem. The Pearl is stalked (most often a gold stalk) and then thanks to cyanlite, it is fixed with a very powerful glue that will not support contact with water.